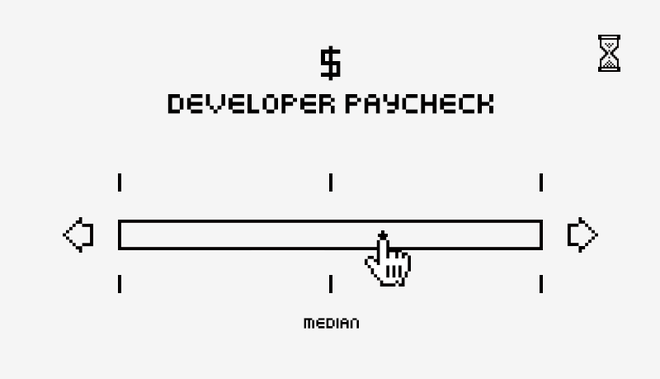 How can developers improve their paycheck. As a software developer, what is the most lucrative opportunity you could be working on? This is a very relevant question to ask. Software skills are generally scarce and good developers are highly coveted. Furthermore, developers are mobile, in the sense that the nature of their trade allows them to work from remote locations quite easily and marketplaces for their services are well established. So which project should you pick? There are many reasons why someone might prefer one job over another, but let’s be honest: developers deserve to get paid well, given their important position in the global value chain. For the first time in 12 editions, we asked developers in our survey how much they earn in salaries or contractor fees. The results are in and from the data we learn several insights that can help developers improve their paycheck, and conversely, provide opportunities for organisations to find talent. First, there are enormous differences in how much developers in each region and software sector earn. The best earning developers in our survey – those in the top ten percent – often earn tens and sometimes hundreds of times as much as the least well-off, i.e. the bottom decile. Part of this gap is location-driven. We’ll come back to that shortly. This said, we can only conclude that a developer’s skill, knowledge, and reputation do matter. Investing in them will pay off. This opens up opportunities for organisations who will accept remote workers. You can hire a top 10% Eastern European backend developer for less money than the median North American wage in that sector. For developers, it means that brushing up your English skills and looking for opportunities beyond your backyard can be very interesting indeed. Developers who take that leap and seek opportunities that pay to international standards are in the minority. This explains why top wages in emerging regions (Asia, the Middle East, Africa) are so exuberantly high compared to local standards. 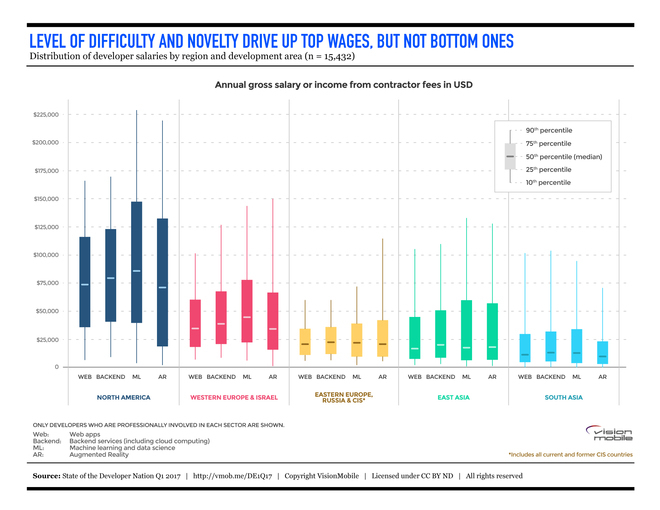 A Western developer in the top decile earns about three times as much as the median wage in his sector and region. In the emerging world, top wages are seven to ten times the median. The best developers in those regions work for multinationals or sell their services on international marketplaces, while most stay employed locally, at much lower remuneration levels. 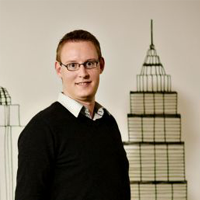 As a Senior Business Analyst, Stijn focuses on understanding how technology becomes value-creating innovation, how business models affect market dynamics, and the consequences of this for corporate strategy. He is the lead Internet of Things researcher in the VisionMobile team. He has been writing about IoT since 2012.